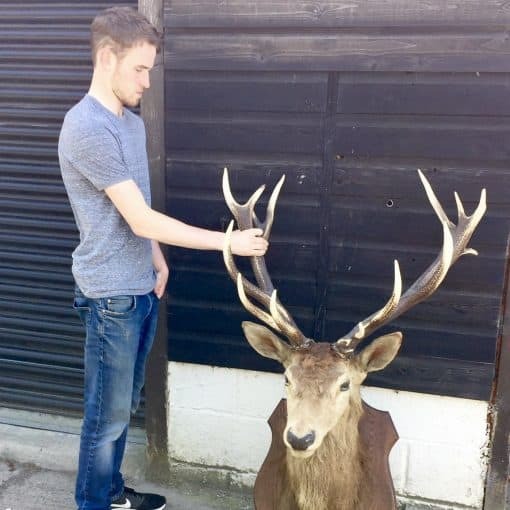 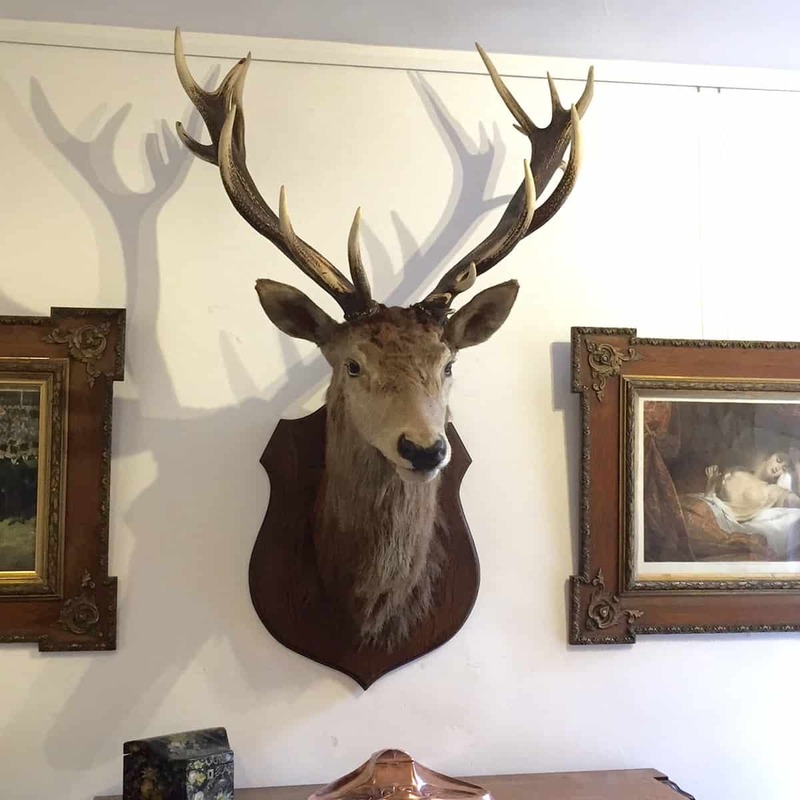 A large and imposing vintage taxidermy Stags head on an oak plaque. Classed as an Imperial having 14 points, A Royal has 12 and a Monarch 16. 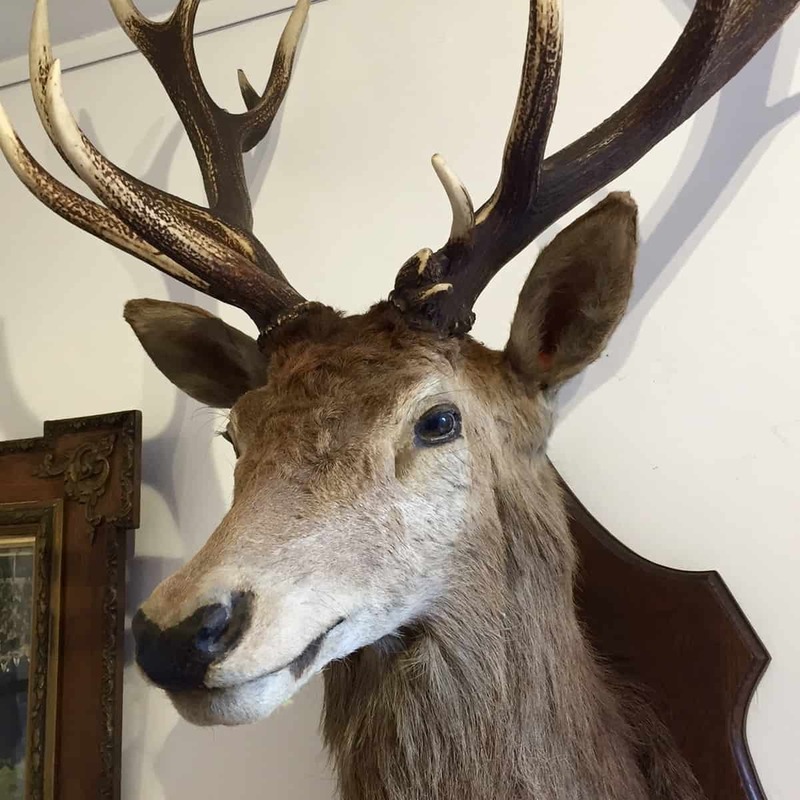 Slight wear around the left eye and top of the head although Stands around 57 inches from the base of plaque to top of the antlers.